Liverpool player ratings on FIFA 17: Are they fair? Coutinho is our best ranked player and it’s probably fair to say most supporters will say Coutinho is our best player. He was 84 last season and FIFA continue to bump up his ratings as he deserves. FIFA have taken the chance to upgrade Sturridge to a 84 after being 83 on the previous game, what he has done to warrant this upgrade as he was mostly injured last season I’m not sure but no doubt about it Sturridge is one of the best strikers in the Premier League when he is fit. We haven’t seen much of Karius in a Liverpool shirt so a 82 could maybe be a bit high for a goalkeeper that may not be our starting goalkeeper just yet. He has been upped by two from FIFA 16 but he was the second best goalkeeper in the Bundesliga last season so maybe it is deserved. Lovren has had a huge upgrade from his average 79 rating on last year’s FIFA, Lovren is our starting centre back and he had a very good season last season. 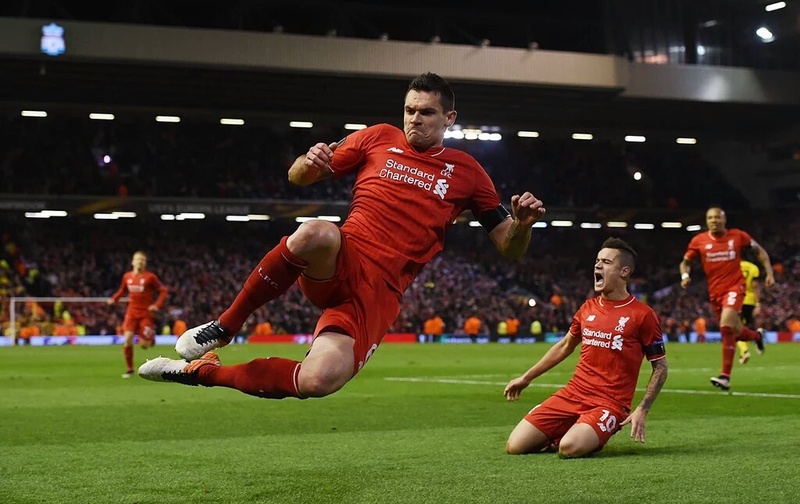 Lovren has got a huge upgrade, maybe this goal has something to do with it? Matip has been one of the most solid performers in the German League for a number of years so deserves a high rating and he has slotted into our side seamlessly so far. Quicker than you think and dominant in the air his FIFA rating is very good. 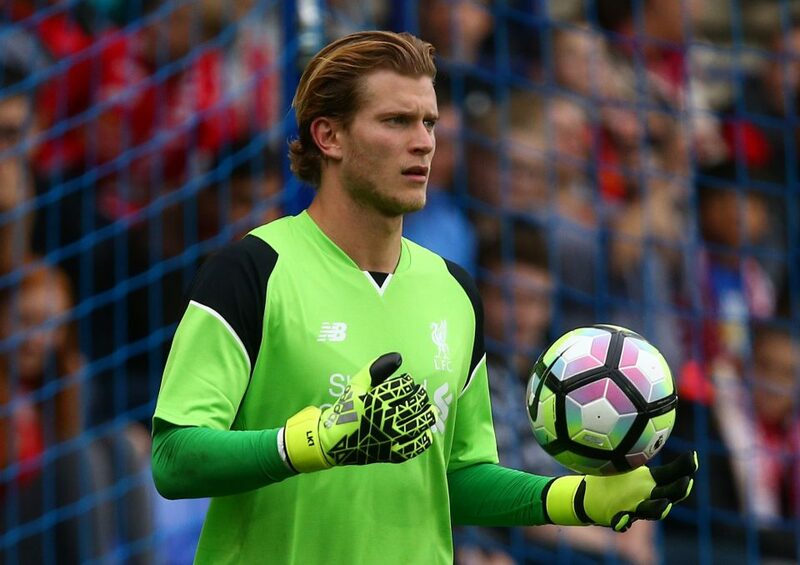 Karius made his Liverpool debut and looked a very confident goalkeeper. He had a couple of dodgy moments with his feet at times but nothing overly concerning, the German bailed out Henderson’s poor error when Karius was quick out of his area to clear the danger. Constantly on his toes and with our high pressing game he could be the goalkeeper we need. Karius could of put himself in contention for the game with Hull after a good game here. Clyne never really seems to get a rest, he plays nearly every game and is always consistent. We are so thin in this area it’s unreal but we only play a game a week this overall this season so its not a massive concern. Clyne got forward well and helped out in attacks as he normally does but his end product on the final ball could improve at times. Matip put in another really composed game tonight and looked so dominant whenever Derby got forward. That’s four good performances in a row now and if he continues he could prove to be bargain of the summer as he arrived on a free transfer. Looks good with any partner to, tonight he played with Klaven and he has also played next to Lucas and Lovren in recent games with Matip impressing in all of them. Klaven made his comeback from a small injury tonight and performances like this will continue to push Mamadou Sakho further down the pecking order. Got his first goal for Liverpool with a neat finish where he had to sort his feet out and he looked comfortable at the back all game. Mignolet will carry on in goal for this game as Karius had just returned from a injury and this game has come too soon for Karius. 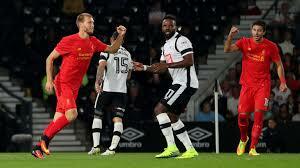 Mignolet hasn’t made a direct error yet this season so should remain in goal for this goal, but Karius should eventually displace Mignolet the German will start in Tuesday’s game against Derby. This is a no brainer as we have no other senior right backs at the club and Clyne is one of our most consistent players and offers us such a big outlet on that right hand side, seems to have a good understanding with new signing Sadio Mane as well. Matip has started the last three Liverpool games in a row and has been cool and composed in every game, set pieces will be huge in this game with Chelsea as they have such a big side so we will need Matip for his aerial prowess, which he has showed already. He sets up attacks well and can play out of the attack well but if we are to win this game Matip must have a good game. Lovren received a nasty looking eye injury last week in training and had to sit out the game with the champions. Klopp has confirmed that Lovren has recovered and the swelling has gone down so I expect him to come in for Lucas. Many fans had their doubts with Milner playing left back but he is adapting to the role quite well really, he has had good games against Spurs and Leicester where he had got a goal and a assist from these two fixtures. Milner will have to be solid defensively this game as he is going against the workaholic Willian. Wjinaldum has been adapting quite well to this position and his role in this Liverpool side, with two assists this season already. He has played with such energy and has won the ball back extremely well and he is showing signs he can add to Liverpool’s attack as well. Had his best game in a red shirt against Leicester at the weekend so I expect him to start, despite Can returning to training and isn’t ready to start a game just yet. The Liverpool skipper is starting to adapt to this new defensive role that Klopp has put him in, he has had two impressive performances in this role recently and his energy, pressing and passing from deep has been crucial to how we are currently playing. Henderson will need support defensively in this game though as he is still not a natural defensive midfielder and he is not naturally someone who will continually win the ball back. Lallana is the player in the midfield that it didn’t even cross my mind to drop him, his two goals and one assist mean he is adding that end product that fans wanted to see for a number of years and his linkup play and his energy have been a crucial part to how we have played as well as how he has adapted to his new more deeper role playing in centre midfield instead of one of the attacking positions. Coutinho didn’t start the game with Leicester as he wasn’t fully ready due to his Brazil commitments but he will be chomping at the bit in a fixture where he scored twice last season. The Brazilian will start on the left as he usually does and he will cutting inside constantly. I expect Firmino to go up top for this game, despite Sturridge being impressive in the game last weekend. Firmino notched two goals last week on the wing but he will be essential to drag their defenders out of position leaving more space for the midfield runners and attackers. David Luiz is a touch tight defender and he likes playing against a striker and nicking the ball ahead of them, Firmino will be key to exposing this weakness in Chelsea’s defence. Mane has recently picked up our player of the month for August and he will look to continue his impressive form, hopefully adding more to his goal tally or assist tally. Mane is a player who has walked into this side and given us a different edge, he will need to help out Clyne defensively as Hazard will be playing on that right hand side of midfield. Would you make any changes to this team? Daniel Sturridge produced a scintillating performance against Leicester City at Anfield on Saturday night, the kind that showed he can and is adapting to Klopp’s high tempo style of play. There has been much criticism of Daniel Sturridge not suiting Klopp’ style of play and there is a fair point as there was a time when he really didn’t look like he was willing to run for the team. 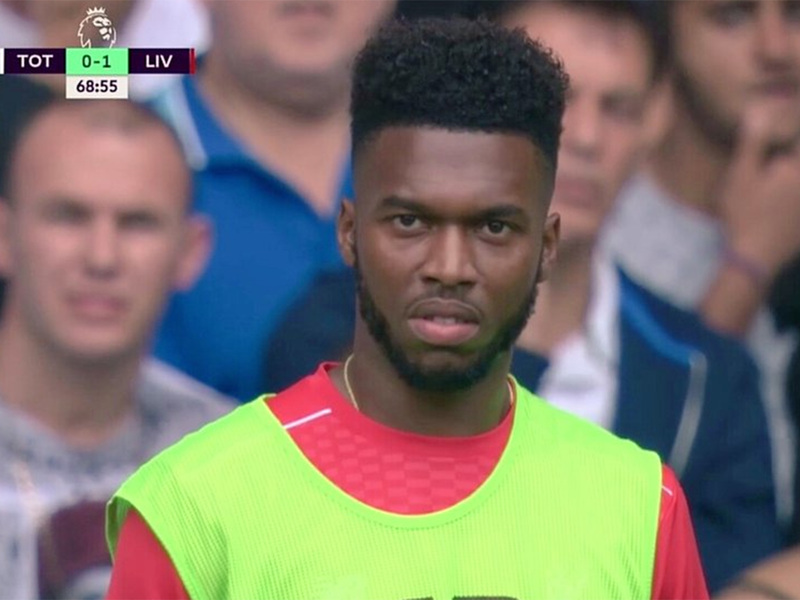 Much has also been written about Klopp’s relationship with Sturridge after Divock Origi came on of the bench before Sturridge in the 1-1 draw with Spurs before the international break, thus people saying that Sturridge has been relegated to third choice striker even though he is our best striker that we have. When Klopp named Sturridge in the starting line up to face Leicester for the grand opening of the new and impressive stand at Anfield it raised a few eyebrows after what has been written by many newspapers and media outlets about Klopp and Sturridge’s so called ‘relationship’. To Liverpool fans we were not surprised to see Sturridge back in the starting line up as simply put he is our best striker and finisher, this Klopp surely knows regardless of what is being written and simply isn’t true. When people talk about who the best no 10 is in the Premier League names such as Kevin De Bruyne, David Silva, Mesut Ozil and our own Brazilian magician Coutinho’s names all continually crop up and rightfully so, but where is Firmino in this conversation? Now we know Firmino took a while to get into his stride at Liverpool but since Klopp waltzed through the Anfield door Firmino has been arguably our most consistent performer in the space of that last 6-8 months. It took Firmino till November to grab his first goal for Liverpool in a 4-1 victory over Manchester City, where he laid down a real marker with his performance that day. His start to life at Liverpool was frustrating with former boss Brendan Rodgers not sure how best to utilise the Brazilian, he started on the bench a lot and when he played he was shoved into an unnatural position which didn’t suit him at the time. Liverpool strolled to victory over Fleetwood town as Gruic, Woodburn, Lucas and two goals from Firmino secured our second preseason win in a row. Just like in the 1-0 win over Tranmere Rovers another very assured performance but really not at all tested. Looks good with his feet and his delivery also looks to be a improvement on Mignolets. We need to see how he is at shot stopping and decision making to fully judge him, the upcoming games later on in preseason should test him. Flanagan is easing himself back and hopefully gets a full preseason behind him, tonight he didn’t put a foot wrong and got forward quite a lot. Wasn’t tested massively defensively where he is better so a easy night for the scouse fullback. Fleetwood didn’t impose themselves on the game so Matip has another game to comfortably bed into the side. Looks like he is extremely composed on the ball as he wasn’t frightened to take a couple of risks he is capable off. Defensively he handled everything but won’t be his most stressful game in a Liverpool shirt. 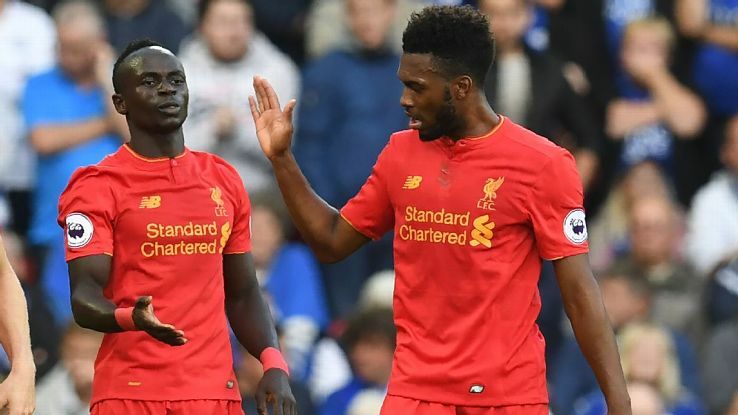 A very similar performance to Matip as these two look like they are building the basis of their relationship on the pitch as they both should start against Arsenal on the opening day. Composed on the ball and defensively sound but wasn’t tested. With no pressure on him defensively he thrives, Fleetwood sat back and didn’t offer a lot going forward so Moreno could do what he does best and he just attacked. Overlapped Mane on the left hand side constantly and troubled their right back for 45 minutes. Got the assist for Grujic after a fantastic ball into the box and was creative as normal. 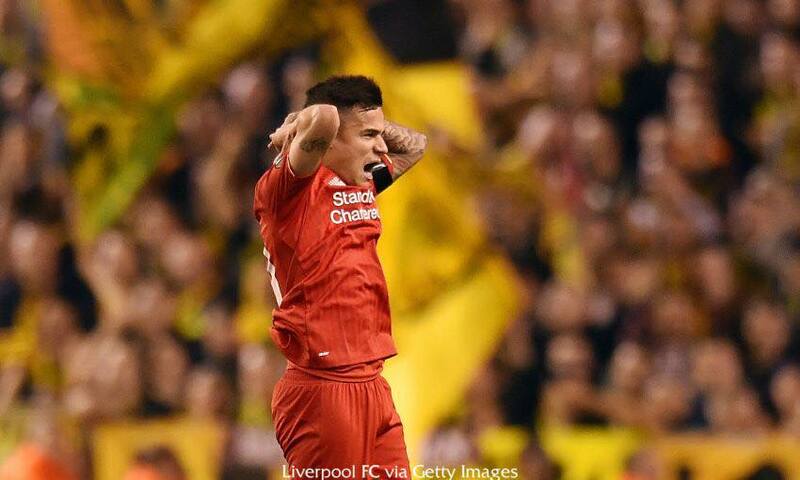 If he can improve defensively he would be a massive player for Liverpool in the future. Is a exit on the cards for Christian Benteke? West Brom could offer Liverpool striker Christian Benteke an escape route this summer, with West Brom boss Tony Pulis said to hold an interest in the Belgium. Benteke looks certain to leave Liverpool this summer after struggling to fit in under Jurgen Klopp and falling behind Daniel Sturridge, Divock Origi and even midfielder Roberto Fermino in the pecking order to play up front. With Danny Ings set to return in pre-season he’s expected to jump ahead of Benteke in the pecking order as well. 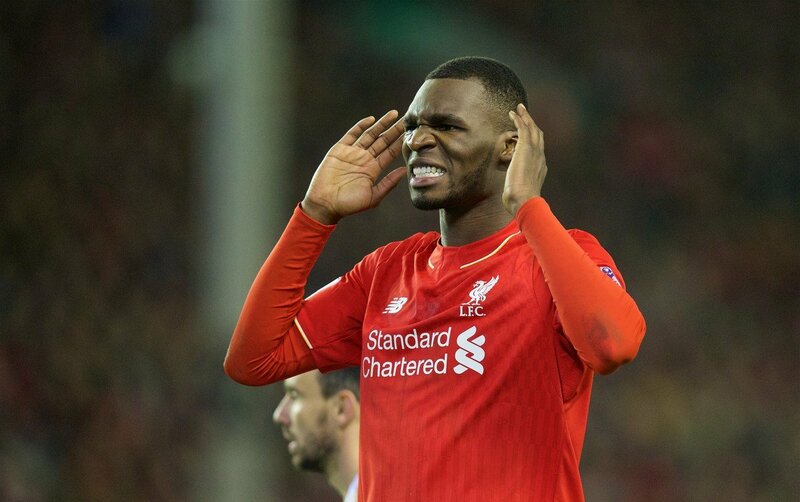 So Benteke is on the fringes of the Reds team and as one of the biggest earners in the side Klopp is expected to move him on this summer. Tony Pulis is set to fund a move for the 25 year old Belgium by selling Saido Berahino, who is valued at around 22 million and has been linked with Tottenham and Stoke City. Berahino was left on the fringes of the West Brom squad earlier in the season due to his attitude but he has recently been getting back into the side but many think this is so other teams won’t be put off to sign him. The Englishman is a off the shoulder striker and doesn’t really suit Tony Pulis style of play and has struggled to make a impression this season even when he has played. Pulis prefers to utilise stron, lone centre forward which Benteke, like current West Brom strikers Saloman Rondon and former Red Rickie Lambert, would fit perfectly. Benteke proved during his time at Aston Villa that he is utilised best in a team that play with more of a direct approach to the game. Having scored 49 goals in 101 games for Villa Benteke was a success in similar direct approach that both teams like to play. Benteke is expected to play our remaining games in the Premier League when he returns to full fitness but only due to the injury to Divock Origi. The Belgiums last start came in February’s FA Cup fourth round loss to West Ham. Benteke told reporters during a international break that he would never have signed if he wasn’t going to be first choice. West Brom will face a fight to sign the Big Belgium though as Juventus, Atletico Madrid and West Ham have all been heavily linked and whether West Brom will pay half of the 32million fee Liverpool paid for him is another question.